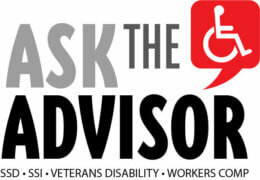 You are here: Home » Disability Resources » Managing Your Money » What Will You Do If Your Benefits Are Cut? Social Security and government medical programs are being reviewed and are subject to change. Here is how to prepare in case your benefits are cut or discontinued. Do you panic every time you hear about possible changes in government medical or social security benefits? Are you struggling now to pay your bills and worry about what is going to happen to you if costs go up (as they always do) and your benefits disappear or decrease? Have you spent months and even years trying to navigate the complex system to get the support, treatments, and medications you need and now fear you can no longer depend on any of it for your future? You’re not alone. In fact, there are at least 74 million others people in the US who share your worries and vulnerabilities. That’s the approximate number of poor, elderly, and disabled people who depend on government assistance through Medicare or Medicaid. And although it is impossible to predict what will happen next week, next year, or five years from now there are steps you can take today to be prepared for many situations you may face. First, let’s look at the programs under discussion. Social Security Disability payments are provided to people who qualify because of a medical condition or disability. The amount of money is based on a complicated formula related to previous income the recipient earned and on which the person paid taxes. People who are on SSD also are enrolled in the federal government health insurance program, Medicare. As with most health insurance programs, Medicare pays a portion of medical expenses but may not cover the full cost of treatment such as prescription drugs, medical procedures, and even doctor visits. To assist people who cannot afford these additional expenses, Medicaid provides additional health insurance. The health insurance support of Medicaid differs from state to state because the federal government provides money to states based on the number of people in the state who qualify. The states then decide how to disburse Medicaid dollars. In some cases, states add money to the Medicaid fund to provide support to more of its citizens. Medicaid primarily provides assistance to the poor, disabled and elderly in our country. Now comes the part where you have to take action to maximize your benefits and prepare for any changes that may affect your medical expenses. While thinking about cuts to your benefits may be distressing, understanding your options and figuring out your plan of action can greatly increase your peace of mind and your future care. Details of your medical conditions: This includes the name of your disease, condition, or disability and the limitations it places on you. For example, if you have chronic obstructive pulmonary disease (COPD), you have chronic bronchitis, emphysema, and difficulty breathing that may force you to avoid strenuous activity or anything that aggravates your health. In addition, you may have breathing treatments, oxygen, and medication that you must schedule and adhere to in order to maximize your breathing. This is a good place to list the doctors who are treating you for this condition and their contact information (phone and address), the names of any medications you are taking for COPD (prescription, non-prescription and the dosage), the phone numbers for any providers who may deliver oxygen or other supplies you need, and anything else that would be helpful to know about treating your disease. A brief history of your treatment: Here you can just put dates (as specific as possible but at least month and year) of recent appointments and upcoming appointments. Include dates of any surgeries or hospitalizations (including the location of these events and doctors who treated you). In the best of situations it is difficult to remember details about when and what occurred. When you are ill, distressed, or in an emergency situation, it is almost impossible to recount the information that could be lifesaving. Any receipts or payment information related to your health: Keeping a folder with the receipts for medication, treatment, doctor visits, or other health-related items provides you with a good overview of how much you spend AND any assistance you receive. Sometimes you will not get receipts but you can always ask for one. Even if the financial information is not available, you at least can have a record of the treatment, services, or prescriptions you have received. If someone other than you helps handle your medical expenses or accompanies you on your appointments, ask them to help you at least estimate your expenses and the financial assistance you get. Do not be afraid to ask about costs. Your benefits will not be cut or discontinued because you ask about them. There are always items that don’t fit neatly into any one category. They may include special clothing, apparatus, equipment, vitamins or supplements, food, or even specialized transportation. If any of these items are paid for or provided free of cost, keep them on your list. If there are changes to benefits, services, or programs that you participate in it is helpful to know what the replacement cost might be if they are discontinued. If you have not previously made a simple list of your monthly income/benefits and expenses start there. Include fixed expenses (those that occur every month or at a regular interval) as well as those vary from month to month. If you have expenses that have popped up in the past year that may not occur again this current year or for a long time, add those to the list with either an asterisk or in parenthesis to indicate they are possibilities or variable expenses. The most difficult part of budgeting for everyone is anticipating emergencies and unexpected events. Emergencies can be anything from a medical situation to an out of state funeral you must attend. Once you include most of the possible and probable items in your budget, adding some amount of variable expenses helps keep your budget more accurate. When calculating benefits or income, you need to list all income and benefits you receive, even if they are not all monetary. For example, you may be able to use public or special access transportation so many times a month or receive free dental care on a yearly basis. If you can estimate the value of these benefits, include that number in parenthesis. A good example of this might be the medications you take. Medicare or Medicaid may pay some of them for while others are given to you as samples from doctors or through special assistance programs that pharmaceutical companies might offer. The best budget is a realistic budget. If you routinely run out of money 10 days before your next benefit payment comes, you need to note that and include the amount or deficit that you have. If you keep track of your budget over a three-month period, you will have a better idea of your actual expenses and any shortfalls or savings that are part of your budget picture. The point here is to have an informed, intelligent idea of your usual expenses and benefits/income. It is better to know you are $200 short of what you need each month than to throw up your hands and say that you are completely unable to meet your expenses whatever they may be. Also, it is easier to apply for additional assistance when you have your budget information clearly and explicitly detailed. If you are able to save money, even a small emergency fund, try to do it. Demonstrating your ability to manage your budget is essential in planning for your future and in accessing programs and resources that you routinely depend on as well as those that you might be able to use when you really need them the most. If there is one thing you can count on it is that things change. Sometimes the change will be in your favor and other times it may not be. Again, being prepared for change begins with understanding where you stand right now (your budget) and ideas for additional ways you can supplement or continue your care. Let’s explore some suggestions for resources that could be helpful to you. Medical treatment: Various nonprofit and government agencies provide low or free-cost medical care. These are more difficult to find without a list of organizations in your area or suggestions from your network (church, friends, family, neighbors, social workers, medical practitioners). Some specialize in providing only specific medical assistance (such as mammogram assistance, free or reduced cost immunizations, services for those with bipolar disorder) while others provide medical personnel for general check ups or treatment. Non-profit Organizations: In every community there are organizations that provide services to others. Often you can learn about them at the public library as well as community government websites. There are organizations that provide clothing, shelter, legal assistance, transportation, counseling, advocacy, and even monetary support. Don’t hesitate to ask your network or any organization you are already using for suggestions about what other services may be provided for you in your community. Education Opportunities: Again, your network can be the best resource for finding out about programs that could help you ranging from learning English to computer programming. The public library is an excellent place to learn about these programs and even attend programs there on food preparation, budgeting, exercise, writing, job preparation, childcare and other practical courses. Your local school district and community college may also have adult classes on a range of topics, many of which result in certification or degrees. The specific school or college can also help you with financial assistance to pay for education, should there be tuition and fees. Job Training/Employment Assistance: If you are considering working part time or even exploring opportunities for work, there are government and nonprofit agencies dedicated to preparing people in need for work. From the federal government’s Ticket to Work program to state and local career and job assistance, there are a variety of programs that provide you with continued assistance of your current benefits while helping you explore or obtain credentials and preparation for work, even part-time employment. Housing Assistance: As you might suspect, in most areas there is a shortage of assistance available for housing. In some communities, the waiting lists for low-cost housing number in the thousands. However, it is worth your time to investigate local or state housing authorities to find out what is possible for low-cost housing assistance. Your network may also be helpful in helping you with temporary housing or with opportunities for co-housing. National organizations and programs are also worth investigating. There are organizations and programs that serve people with specific diseases or disabilities such as the American Cancer Society, Autism Speaks, We Are Diabetes, Parkinson’s Foundation, and many others. There are also federal and state supported programs that may be helpful for additional job training or housing assistance. Just as Medicaid distribution and requirements vary from state to state, there are also specific programs supported by state governments available to people based on need and situation. It may sound overwhelming to tackle all of this research, investigation, record keeping, and organization. But it is a process that can begin today to prepare you for changes that may affect you. There is also a great possibility that once you begin working on your plan for potential change, you will discover multiple sources of assistance that may make a difference to your life right now.